New! Certified gluten-free. No GMO. Dairy, soy & nut free. Whole Grain: 8 g or more per serving. WholeGrainsCouncil.org. Our new Heritage Style bread is huge. Literally. 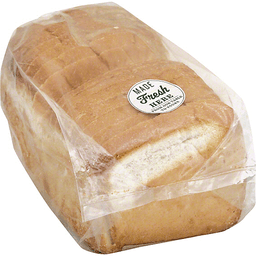 We're talking about a need-both-hands-to-handle kind of big, and the first of its kind for gluten-free bread. 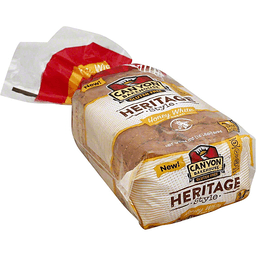 Rooted in the tradition of family-style, artisan-made loaves, the new Heritage Style breads honor the Canyon Bakehouse standard for non-GMO, whole grain, and clean ingredients - and now offer a big, new take on what it means to eat gluten free. 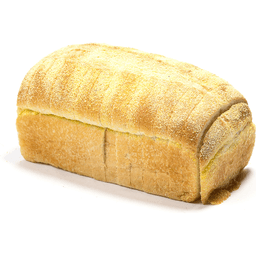 Reach out and tell us how you love bread again. - Christi Skow; Loveland, Colorado. www.canyonbakehouse.com.